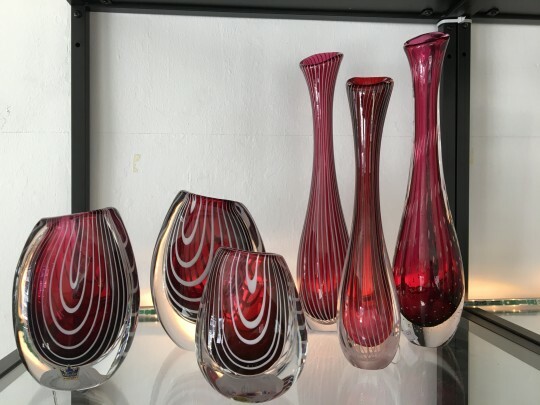 Six different vases by Vicky Lindstrand, Kosta. More individual photos abd information can be sent. All in good condition with some smaller trace of use.